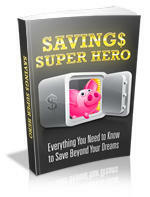 Get all the support and guidance you need to permanently stop being in the red and finally save some money! This book is one of the most valuable resources in the world when it comes to everything you need to know to save beyond your dreams! Is your financial behavior and empty bank account making you feel like you are headed for the poor house... maybe even making life miserable? Well...if you see yourself in any of those statements...listen up.